Israel's defense minister Avigdor Lieberman resigned on November 14 in the wake of a ceasefire agreement with Hamas in Gaza. His resignation has now plunged Israeli politics into chaos as Prime Minister Benjamin Netanyahu must juggle what's left of his fragile coalition government and is being pressured to appoint Naftali Bennett, head of the Jewish Home party, as the new defense minister. Hamas, which has been challenging Israel with six months of protests and rocket fire from Gaza, has now achieved what it sees as a victory. Despite its inability to penetrate Israel's defenses around Gaza, it may bring down the government. The latest round of violence, that resulted in Lieberman's departure, began on Sunday, November 11, when an Israeli Defense Forces (IDF) special unit ran into trouble in Gaza during what has been characterized as a sensitive reconnaissance or surveillance operation. During an exchange of fire with Hamas near Khan Yunis, a high-ranking Israeli officer was killed and in subsequent air strikes seven Palestinians were also killed, including a senior Hamas commander. The next day tensions were palpable, and Israel heightened security around the Gaza Strip. Armored personnel carriers were brought up to the border. At dusk Hamas fired a Kornet anti-tank missile at a bus carrying soldiers and unleashed a barrage of rockets. 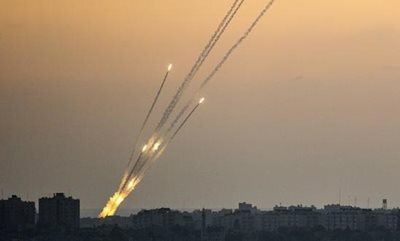 Over the next twenty-four hours more than 460 rockets were fired at Israel, killing one man in Ashkelon. Israel's Iron Dome defense system intercepted most of the rockets that were headed for towns and cities near Gaza. Others landed in open areas. The IDF retaliated by striking 160 targets. This kind of cycle of rocket fire and air strikes has become common over the last six months. It began with Hamas launching the Great March of Return in late March of this year, sending tens of thousands of protesters to the border fence. Hamas wants to achieve relevance after twelve years of governing Gaza with nothing to show for it. Hamas has been isolated in the last year not only by Israel's blockade, but also because the Palestinian Authority in the West Bank has sought to sanction civil servants in Gaza and cut their salaries. Opposed by Egypt, Hamas receives some financial support from Qatar and Iran, and verbal backing from Turkey, but it has failed to govern. It has also failed in its terror campaign against Israel as Jerusalem has found ways to stop Hamas tunnels, confront its "naval commandos" and thwart its rockets. In October, Palestinian Islamic Jihad fired dozens of rockets at Israel and the IDF struck eighty targets in Gaza. In July, after Hamas fired 170 mortars and rockets into Israel, the air force also struck forty sites in Gaza. Netanyahu's real concern is the Iranian threat and especially Iran's role in Syria and Lebanon. 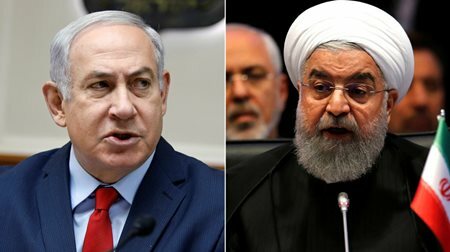 He has called for Iran to leave Syria and Israel has waged a campaign against Iranian targets in Syria and against Iranian weapons transfers to Hezbollah. Since 2011, Israel has struck three hundred targets in Syria, two hundred in the last two years. Israel has also warned about Hezbollah's growing network of rocket factories and facilities in Lebanon, especially as Iran's ballistic missiles become more precise and Iran is alleged to have transferred that precision guidance to Hezbollah. In October, Russia transferred the S-300 anti-aircraft system to Syria and warned in late October against any "hot heads" in Israel testing the air defense. This means Israel has to work doubly hard to figure out how to continue to confront the Iranian threat in Syria. It also means working with the U.S. administration. U.S. envoy James Jeffrey said on November 14 that it was the U.S. goal to see Iranian forces leave Syria. Also, Netanyahu recently visited Oman and Israeli ministers visited the United Arab Emirates in early November. This points to a breakthrough in Israeli relations with the Gulf and is part of the wider regional strategy to confront Iran. Given the Iran-focused regional strategy, the last thing Netanyahu wants is a difficult ground war in Gaza. Netanyahu already presided over the 2014 war in Gaza and the 2012 Operation Pillar of Defense, which achieved little except setting back Hamas's capabilities. Those conflicts were largely the result of Hamas importing weapons and expertise via smuggling from Sinai, taking advantage of the chaos of the Arab Spring. Now Hamas is weaker and its conduit to Sinai is cut off. Netanyahu and his security establishment, according to numerous conversations I had, are prone to avoid another war. They want an Egyptian-backed ceasefire to hold while maintaining the status quo in Gaza. This enables Israel to focus on the region, instead of inflaming the region with a war in Gaza. It was in this complex context that Lieberman resigned. A competent defense minister who helped manage Israel's $19 billion defense budget and helped secure the $3.8 billion in annual U.S. military aid that was signed in 2016, he shepherded through deliveries of the first F-35s and also contemplated new purchases by Israel of a squadron of F-15s and new helicopters. But politically Lieberman found himself isolated at the defense ministry. Eran Lerman, vice-president of the Jerusalem Institute for Strategic Studies, and a former deputy director for foreign policy and international affairs at the National Security Council in the Israeli prime minister's office, describes Lieberman as isolated by the rest of Netanyahu's security cabinet which supported the ceasefire. Those who supported the ceasefire included the Mossad, the Israel security agency (Shin Bet) and the chief of staff of the army. In such a position, Lieberman's role as defense minister became less relevant and he chose to resign so as to appear more hardline on Gaza than Netanyahu. This will play well in upcoming elections, which will be held sometime next year, because many Israelis in the south who have been affected by the rockets think that Jerusalem should deal Hamas a strong blow. That was clear on Wednesday and Thursday night as protesters burned tires near Sderot, one of the towns often targeted by Hamas. Protesters have also marched on Jerusalem and Tel Aviv. Domestic policy is now ruffling Netanyahu's carefully crafted foreign policy and strategic equation. In this respect, Hamas's claims of "victory" in the ceasefire are not just empty rhetoric. Hamas didn't achieve a military victory. But toppling the defense minister is a kind of victory because it shows that Hamas can shake Jerusalem's politics at the very top, after years of being unable to put a dent in the iron ring of security fences and missile defenses around Gaza. If Israel's Prime Minister is unable to sort out the current instability, then the country will go to elections. Given Netanyahu's interest in the current regional strategy, elections would be another distraction. This was exactly what he sought to avoid in Gaza, but now it may be presented in another form. After almost ten years in power, Netanyahu will have trouble winning another election. He wants to preserve his legacy and being forced into elections and potentially forced from office now would be humiliating. Lieberman has thrown Israel's politics into momentary chaos at a crucial time in the region. Hamas thinks it has gained an advantage and it may try to press that advantage or seek to interfere if it thinks it can gain something amid the instability in Netanyahu's coalition. Seth J. Frantzman is a Jerusalem-based journalist who holds a PhD from the Hebrew University of Jerusalem. He is the executive director of the Middle East Center for Reporting and Analysis and a writing fellow at Middle East Forum.